Chamakam furnishes completely the ideal of human happiness and defines in the highest degree the desires and do not delimit to be asked or to be granted. O Gods, Agni and Vishnu! May both of you bear goodwill to me. Let these words of praise of mine magnify you. Approach me together bearing riches and food. I pray to you to grant me food and permission to give and eat food. May the food that I eat be pure. Let me have good appetite and relish the food and digest the food that I eat. May I perform the sacrifices that would procure me food. Let me recite all the vedic mantras with proper intonations and a compelling and captivating voice. Grant me the capacity to discriminate what to hear and what not to hear. May my mind be lit up with clarity to understand things properly. May I attain the heavens of Gods. Let the life forces and vital airs of Prana, Apana and Vyana function properly in me. May my mind deserve the right knowledge through incisive grasping. May you grant me the gift of eloquent speech and a sane and healthy mind. Let my organs of action be strong and virile. Grant me the might to put down my enemies and to lead a long and vigorous life. Let me have a respectable old age with dignity. May I have well built and well formed body. May you grant me happiness. Grant me protection for the body . May I have well formed body with well set bones and well knit joints.May I be born in high and noble bodies in future. I pray that I may be granted a higher position, prominence and Lordship among men. May I have the sense of resentment which is just and anger which is righteous. Let me have the right self control for dignified manifestation of anger. May I be provided with sweet and plentiful water. May I be granted prowess to dominate and gain victory over my foes and win wealth and glory. Let me be sought after and respected by others. May my wealth and possessions multiply. May I be granted good progeny and unbroken lineage. May my learning, character and truthfulness grant me natural superiority over others. May I have faith in the sastras, vedas and optimism about future. May I be granted movable and immovable property and gold and silver in plenty. May my personality be charming and attractive. May my body be strong and glorious to derive pleasures and joy from sports and games. May the heritage which has come down to me from my forefathers be steady with me and what I acquire in my life be protected. May I master the vedic hymns and acquire the holy merit by the performance of sacred rites and good actions. May my past, present and future be full of abundance and prosperity. May I always dwell in pleasant, hospitable and safe places. May my passage in this world be always smooth and may I be endowed with spiritual merit in my afterlife. May I be provided material comforts in abundance in my life’s journey to make it comfortable and pleasant and also to put them to the best use. May I be granted a brilliant and balanced intellect, to manage difficult situations cleverly and successfully. May I have the joy and solace of good relations with one and all. May I attain welfare and prosperity in this world and spiritual welfare in the other world. May I be granted comfortable habitations, good fortunes, wealth and fame. May I have the guidance of elders and teachers who can control and lead me in the right way. Let me have parents and elders who will comfort and support me. May I be blessed with the capacity to protect and retain what I have already earned. May I be granted unshaken fortitude under the most trying and difficult circumstances. May I win the goodwill, respect and honour in the world. May I acquire the knowledge of vedas and sastras and ability to disseminate the knowledge to others. May I have the capacity to command obedience and work from my children out of love. May I have the executive ability and drive to extract obedience and work from my servants and others. May I be blessed with unqualified success in my agricultural and husbandry operations. May I perform sacrifices and other rites and reap the inevitable spiritual fruits of such sastric karmas. May I be granted total resistance and immunity from major and minor ailments. May I have the possession of herbs and remedies which would grant me a long life. May I be saved from untimely death. May I be granted freedom from fear and enemity. May I possess righteous conduct which wins the approval of one and all. May I be blessed with a sound sleep,happy and auspicious dawn and a fruitful day. May I be granted food, milk, sweet juices. May I encounter courteous words of welcome and hospitality. partaking liquids in good company. May I be blessed with successful agricultural operations, sufficient and timely rains, fertile fields and the green wealth of trees and plants in my land. May I possess children and relatives who bestow upon me a sense of security. May I acquire gold and precious stones. May I have a strong and well nourished body. May I be granted the gift of abundance of all varieties of cereals, millets and corn. May my stock of grain and food never diminish. May I never experience hunger for want of food. May I be granted paddy, barley, black gram and sesames. May I be granted greengram, castor seeds, wheat and bengal gram. May I be granted millets , small superior paddy, syamakas and wild forest grains in abundance. May I be blessed with vast lands, with precious stones and lofty hills and mountains which give birth to many rivers. May the lands be rich in minerals like lead, tin and steel. May the lands be rich in minerals like bronze, copper and have adundant water. May the land have thick vegetation with creepers, herbs and plants cultivated and uncultivated. May I be granted cattle and other domestic animals in plenty which help us in performing sacred sacrificial rites. May I be granted ability to add to my ancestors properties with my own earnings. May I be blessed with children with competence and prowess to achieve success in the world. May I have comfortable habitations to accommodate me and my people. May I have the detemination to undertake performances of sacred rites, rituals and sacrifices successfully. May I be rewarded with joy and happiness for fulfilling the scriptural injunctions. May I attain the final goal of my life. Let Lord Agni and Indra shower grace on me. Let Lord Soma and Indra shower grace on me. Let Lord Savita and Indra shower grace on me. Let Goddess Saraswati and Indra shower grace on me. Let Lord Pusa and Indra shower grace on me. Let Lord Brihaspati and Indra shower grace on me. Let Lord Mitra and Indra shower grace on me. Let Lord Varuna and Indra shower grace on me. Let Lord Thvasta and Indra shower grace on me. Let Lord Dhata and Indra shower grace on me. Let Lord Vishnu and Indra shower grace on me. Let the twin Aswinis and Indra shower grace on me. Let Lord Marutha and Indra shower grace on me. Let Vishva Devas and Indra shower grace on me. Let Earth and Indra shower grace on me. Let the interspace between the heaven and earth and Indra shower grace on me. Let Heavens and Indra shower grace on me. Let all the four quarters and Indra shower grace on me. Let quarter above and Indra shower grace on me. Let Prajapati and Indra shower grace on me. (Indra is not only the mythological King of angels in heaven. According to Bhagawan Baba, Indra is the maste of senses. Therefore, here Indra means the indwelling god who is the real master of the senses; this explains the importance given to Indra in this hymn). Upamsu(which hold the Soma juice), Antaryama and Aindravayava. The vessels used for Maitravaruna, Asvina, Pratipasthana. The vessels used for Sukra, Manthi, Agrayana, Vaisvadeva. The vessels used for Dhruva, Vaisvanara, Rtugraha and Atigrahya. The vessels used for Aindragna(dual gods Indra and agni), Vaisvadeva. The vessels used for Maruts, Great Indra, Aditya(the Sun god), Savita. The vessels used for Sarawati, Poosha, Pathneevathas and Hariyojanas. (Let the following Bahiranga Yagna Sadhanas necessary for the performance of sacrifices be granted unto me). May I possess the dried sacred twigs, the holy Dharbha or sacred grass, the sacrificial altar, the platforms for the priests to perform sacrificial rites. May I possess vessels made of Purasa wood used for Homams in Ishti sacrifices, wooden plates for pouring the Soma juice and drinking it, small pebbles used for pounding the soma creeper, wooden knives fixed in the sacrificial post. May I possess four pits dug in the earth, flat wooden pieces cut from the fig tree along with the bark, vessel shaped like a mango made out of banyan tree in which squeezed soma juice is kept. May I possess the vessels of wood and mud for placing the Soma juice in the sacrificial offerings (Havirdana), mud vessel for keeping the soma juice, another mud vessel for storing the purified soma juice. May I possess the place for lighting the sacred fire, platform for keeping the Havis (sacrificial offerings), pavilions for ladies (Grha) where the the wives of preists should dwell, place where the public can sit and chant vedic hymns. May I possess purodasa and offering made of broken rice, pachatas (a place where offerings are cooked), may I have the ceremonial bath after the completion of the sacrifice and burn the sacred fire by chanting devatha manthras through which the gods are invoked . May I light the sacrificial fire. May I perform the religious rite known as Gharma and the sacrifices knows as Arka and Surya. May I make the offerings due to Prana. May the Gods Prthvi, Aditi be auspicious to me. May the Gods Diti, Dyaus be auspicious to me. May the heaven and the quarters outspread like the fingers and pointing finger of the Virat-Purusha, the cosmic being be amicable to me for my sacrificial rites. May the Rig veda, Sama veda, Yajur veda, and the hymn known as Stoma be properly chanted where the sacrificial rites are perfomed. May austerities be practised by me properly. May the seasons be favorable for my sacrificial rites. May I practise the physical austerities or certain vows and observances prescribed(like fasting at night). May it rain day and night. May the hymns called Brhad and Rathantara be properly recited during the sacrificial rites. (Let it be granted unto me). Calves in the womb of my cows, the newborn calves, a year and half old bull calves, a year and half old female calves. Two year bull calves, two year old female calves, bull calves two and half years old, female calves two and half years old. Bull calves three years old, female calves three years old, Bull calves four years old and female calves four years old. Bull calves five years old, female calves five years old. The breeding bulls and virgin cows. The lordly (fully grown) bulls and the cows that have had a miscarriage. The cows that have newly delivered. May I live long. May my upward breath, downward breath, equalising breath, eyes, ears, mind, speech and body function properly as a result of my sacrificial rites. May I keep performing more sacrificial rites. Let these be granted to me. One, three, five, seven, nine, eleven, thirteen, seventeen, nineteen, twenty one, twenty three, twenty five, twenty seven, twenty nine, thirty one and thrity three as also four, eight, twelve, sixteen, twenty, twenty four, twenty eight, thrity two, thirty six, forty, forty four and forty eight. May I possess food. May it be produced in plenty. May it be produced again and again. May I perform sacrificial rites. May the sun, the space that came out of it, that appeared last, that appeared in the world, the world and the king be auspicious to me. Ida invokes the Gods, Manu performs sacrificial rites, Brhaspati recites hymns which give joy. Visvedevas recite hymns.O mother Prthvi (Earth) do not injure me. I shall entertain sweet thoughts, do sweet deeds, make sweet offerings, speak sweet words and speak honeyed words to the God loving men. May the Gods make them faultless. May they be approved by the Pitrs (manes or ancestors). May there be Peace to th body, mind and the Soul. Wow.... how enlightening it is! Thank you very much. 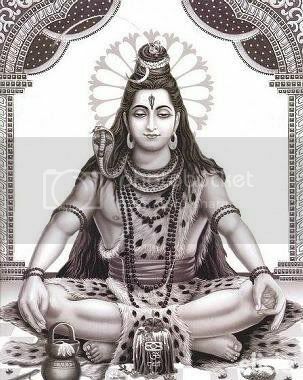 Om Namah Sivaya! Thank you.. Beautifully explained.. Om Rudraya Namah!! THANK YOU SO MUCH. ONCE AGAIN I EXPRESS MY GRATEFUL THANKS FOR THIS. Excellent . Marvellous. Very clear simple innovative translation.